When designing luxury bathrooms, look beyond the standard metal or tile thresholds and use an attractive material that’s more elegant. Beautiful marble can make the ideal threshold for the bathroom door and even around the shower. A marble barrier can be used to effectively mark boundaries and help keep water from drifting into other areas. 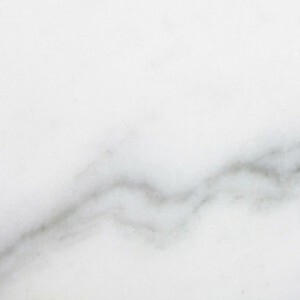 If you’re worried about the initial purchase price of the marble, then consider all the benefits of using marble as your finishing material. While you may spend a little more today, you’ll save in the long run and possibly even improve the value of the home. Water eventually rots wood without a protective coating, and the grout in between tiles will give way over time and have to be replaced. Metal may rust with regular exposure to humidity, but you won’t have to worry about these issues with marble. This durable and attractive material can handle high levels of moisture and even standing water. Cut to the appropriate length with minimal seams, it allows you to eliminate most of the grout lines to better protect the subfloor. Whether it’s polished to a smooth finish that’s waterproof or you choose to seal it with a specially formulated waterproofing agent, you won’t have to worry about the marble becoming damaged by the regular exposure to moisture. This simple fact benefits you in two ways. The first is that the marble can last forever, and chances are good that you’ll never have to replace it. You’ll save money in the long run on both supplies and labor. You’ll also never have to go through the tedious work of stripping off an old finish or cleaning out old grout to replace it. You’ll save a good deal of time, frustration and money on maintenance. The only care your marble threshold will need is a fresh application of sealant once every few years to prevent staining, but this process is fast, easy and very affordable. Marble thresholds can be finished off in several different ways, and they all have different pros and cons. When dealing with the doorway to the bathroom, you may want the marble to sit flush with the floor so that you won’t trip on it by accident. This is also a great solution for flat, handicapped-accessible showers that need to accommodate wheelchairs. Another option is to have one or both sides of the threshold beveled. When the edge is angled, it’s less likely to become a tripping hazard. Finishing both sides on an angle allows you to have a slightly raised threshold along the shower or in another area without increasing the risk of tripping. If you’re dealing with two floors at different heights, then have the marble cut to the match the taller height, and then bevel the opposite side for an easy and smooth transition. Finally, you may choose to use a raised marble threshold as the boundary of a shower. The blunt curb will effectively keep water in and clearly mark the edge of the shower. You may want to use a contrasting color so that the height difference will be more visible, which will help you keep the bathroom a little safer for family and visitors alike. These different options are all offered by Stonexchange, and the final choice is up to you. There are no right or wrong answers, but the fact is that these options are not as readily available with other materials. We’re happy to fill custom orders, so you can get the exact dimension and design that you need for your particular shower threshold. As appraisers walk through a home, they’re looking for the little upgrades that make a big difference. Things like marble floors, counters, and thresholds give your home a little bit of a boost in the value. While you probably won’t see a dollar-for-dollar increase, you can still expect the use of marble to have a positive net effect on the value of your home. Perhaps more importantly, the use of marble makes your home more appealing to potential buyers. Rather than watching your home sit on the market for several months, you may find that it attracts more viewers and ultimately sells faster than you expected. This translates to less stress and more attractive offers when you eventually put the home on the market. Another benefit of using marble in areas like the thresholds is that it helps cast your home in a positive light. When people see this type of upgrade, they automatically assume that you’ve taken good care of the property and have invested in quality materials for less visible areas. This type of impression can only work to your benefit when it’s time to sell. Whether you’re finishing off the bathroom in a sleek modern style or going with something more casual, marble is a fine choice that will work beautifully. With other materials, you can wind up having to change them out whenever the décor is updated, but this won’t be a concern with marble. Whether you go with a white, tan, or gray shade, you can rest assured that it will work with your changing color schemes and prove to be an asset for many years to come. Additionally, you aren’t limited to using marble as the threshold of your new shower. It can be used along the walls, in the floor, and even on the apron of your whirlpool tub. Thresholds may also be mounted vertically on the wall to serve as baseboards and make a room feel larger. The options are limitless, and you’re sure to be pleased with the finished look. With other building materials, you’re limited to what’s available at your local store, and you’ll be forced to pay retail prices in most cases. With marble, you have another option open to you. Stonexchange has a distribution center in Miami, and we’re happy to supply you with all the marble thresholds you require. We bring wholesale prices to the general public, and our tiles are all of the highest quality. In addition to offering a consistent inventory featuring the most popular shades and sizes, we also handle custom orders to ensure that your needs are met. We take pride in our great customer service, so we’ll work to deliver your new tiles quickly. Our employees care about customer satisfaction, so we take great care when packaging orders. Our goal is to minimize damage of the tiles and fill the order quickly. We work with several nationwide shipping companies, so you can expect prompt delivery of your beautiful new thresholds. Contact us today to discuss the needs of your upcoming project and get a quote.